Join WE Kids this summer as WE head out on camping adventure to explore how we can know God and trust in Jesus! It’s going to be a fun-filled week of games, stories, songs, crafts and more! 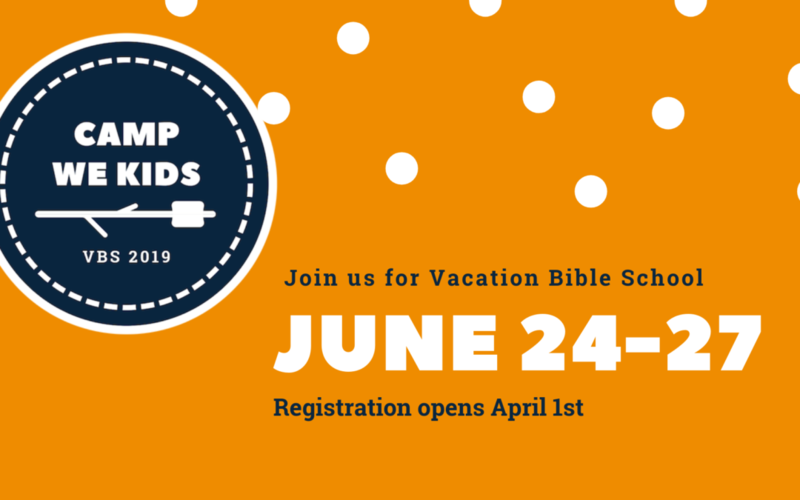 VBS is open to kids ages 4 through entering 5th Grade during the 2019-2020 school year. Cost is $10 per child and scholarships are available. Questions? Contact Michele at michele@weomaha.com. You may input more than one child by clicking on the "+" sign to the right of the last column. You may input more than one by clicking on the "+" sign to the right of the last column. Want to volunteer for VBS? Sign up today using the form below. If childcare is needed, please fill in the info below.